Some of you are preparing to *click* out of this article, and I understand. Because outside of Tiger Woods and Alex Rodriguez, there is no more polarizing athlete on the planet than LeBron James. 2. 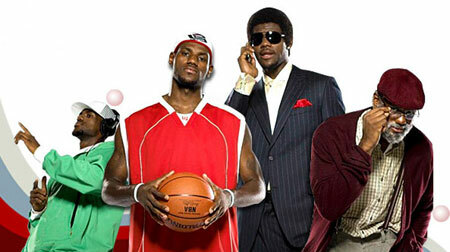 You’ve named your children in tribute to the names of James‘ fictional Nike family, The LeBrons. Of course, James recently completed his sixth NBA Finals in 12 seasons. No matter on which side of the fence you reside, and in spite of his record falling to an overall 2-4 in the title series, this edition of The Finals, which was his fifth in a row, truly cemented his legacy as the greatest player of his generation, perhaps all time, and one of the most divisive players who has ever set foot in the sports arena in the eyes of fans. 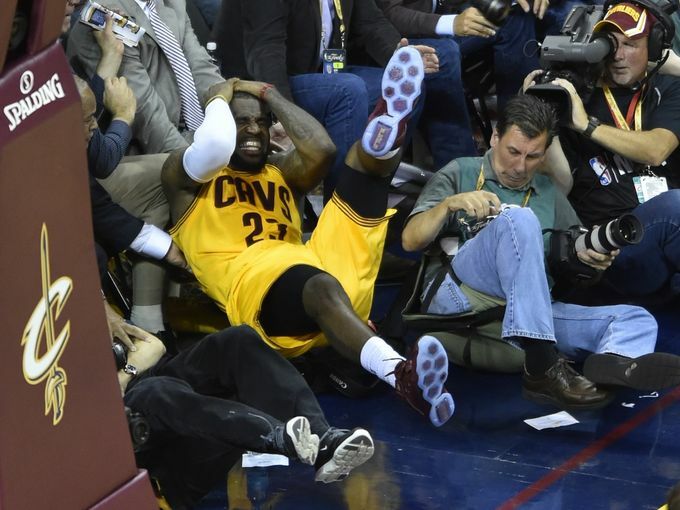 In Game 3, though, LeBron pulled out one of those rare moments in sports. Say what you want about The King, but very few have had the keen sense of the moment as he has over the course of his career, and Game 3 was another demonstration. A minute or two before tip-off, James strode towards his place at the circle, stopped, and made eye contact with a legend. That glance has become a now legendary moment. James‘ simple bow of acknowledgment to Cleveland legend Jim Brown was one of the most beautiful gestures of respect, admiration and love that has ever been seen in sports, and one that will not fade from memory anytime soon. Later, in an article on clevelandbrowns.com, Brown called the move “one of his greatest sports moments.” There is no way anyone can underscore the power of that statement when you take into account the legacy of Jim Brown, the athlete and the man. The demonstration of respect to one of the most legendary athletes in the city and the country elevated James‘ status as a true sportsman, and a young man who is respectful and reverential of the past and those who helped blaze the trail without fear, and with nothing but courage and character. With Cleveland entering Game 4 owning the only lead they would ever have, the Cavs mirrored their unabashed leader’s awkward fall under the backboard in the 2nd quarter. Detractors called it an embellishment that, might even make, yes, LeBron James blush, but his tumble into the camera lens rattled the Cavs. Once James emerged from the floor, this tumble was no joke, he was cut, required stitches, and was down for a few minutes. 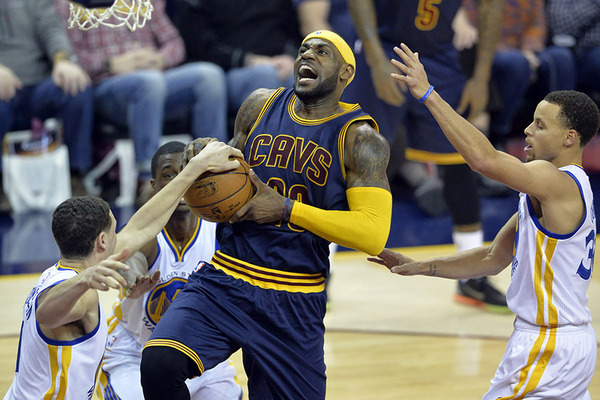 It was the defensive plan of the Warriors where the pain really emerged for the Cavaliers. In his first start of the series, the Warriors started defending James with eventual series MVP Andre Iguodala. James shot a miserable 7-for-22, and had his lowest point total of the series with 20. 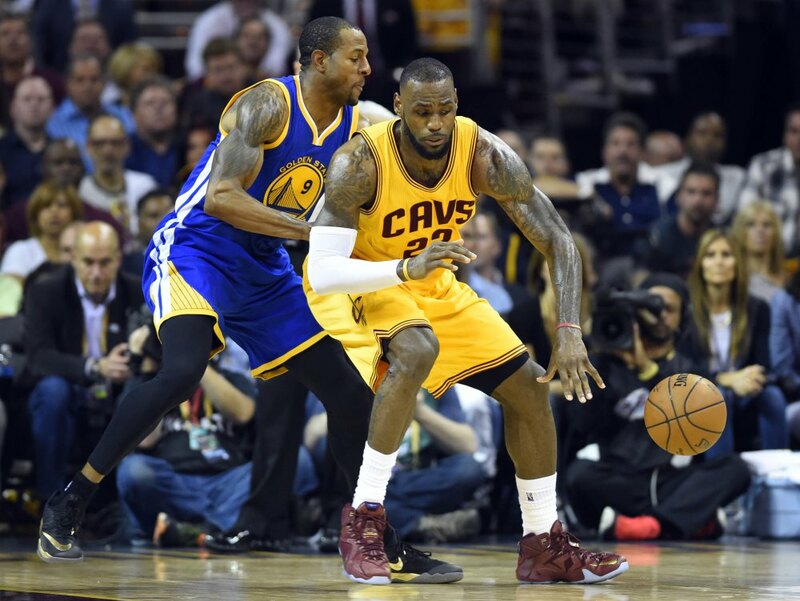 Two games later, Iguodala was named MVP specifically for his defensive play against James. The 103-81 blowout elevated the Warriors back into the confident and mentally unflappable crew that had dominated the league all season. With home court re-established, and Steph Curry finding his touch again, the clock was striking midnight on the supporting cast. A bench that likely didn’t realize just how they had caught lightning in a bottle began falling to earth in spite of the heroics of James. For nearly all teams, losing two all-stars (Kevin Love and Kyrie Irving) in one season, let alone in one playoff tournament, typically spells complete and utter doom. But the sheer will of James, in spite of those losses, is what truly brought it all home. LeBron was the first player in Finals history to lead both teams in points-rebounds-assists (38-PPG, 13-RPG, 8APG), and captured that amazing designation by literally playing all five positions at any given time. When he wasn’t posting up, he was bringing the ball up the floor as the point guard. He also was responsible for more than 38 percent of his team’s points. Only Michael Jordan ever posted a higher share, and the difference is within one-tenth of a point. After Game 5, he said that any team he played on could never be considered a true underdog, and that he was the best player in the world. While these remarks only stoked the fires of his critics further, it’s hard to argue with the inherent facts. LeBron James is many, many, many things to many different people, and in so many ways this series represented the odyssey that began when he left St. Vincent-St. Mary High School. Brilliance, drama, passion, and of course, a little showmanship for good measure. Love him or hate him, you can’t deny his ability and his desire to win, with all of the flops, cramps, televised “Decisions,” and everything else that goes with LeBron being LeBron. I don’t understand why this superstar isn’t more embraced. From one end of the spectrum to the other, you simply can’t ignore or take your eyes away anytime he’s on the court.